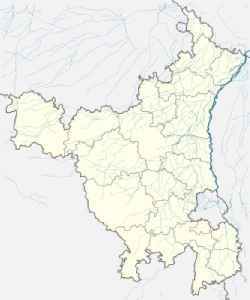 Hisar is the administrative headquarters of Hisar district of Hisar division in the state of Haryana in northwestern India. It is located 164 km to the west of New Delhi, India's capital, and has been identified as a counter-magnet city for the National Capital Region to develop as an alternative center of growth to Delhi. Vying for this seat are the Chautalas, the Bishnois and the Singhs, as Hisar has unseated neighbouring Rohtak as home to the campaign's most high-profile electoral battle.